Reminder: Barnes & Noble is offering a FREE LEGO Movie 2 Kids Event on Saturday, February 23rd at 2PM. Get FREE LEGO Building kits and Posters! Sign Up NOW! On Saturday, February 23rd at 2PM, join us to celebrate the release of The LEGO Movie 2: The Second Part (releasing February 8th). Everything is awesomer together, and we want you there! 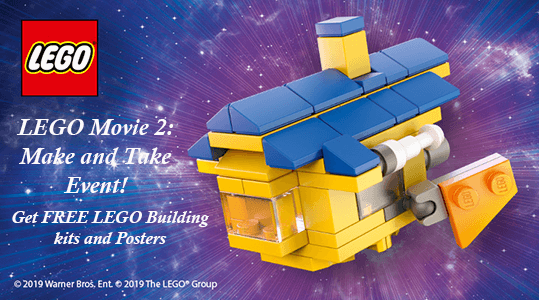 *LEGO building kits and posters are available while supplies last.